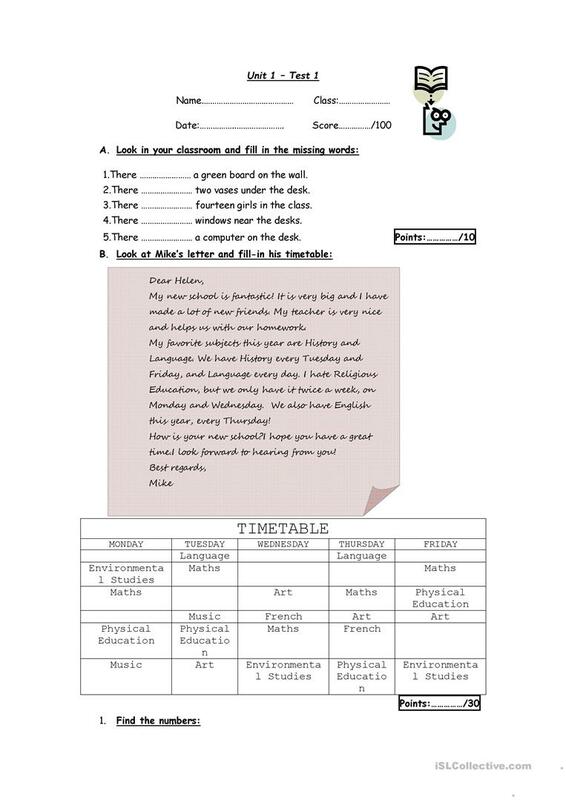 A unit test designed to cover the first unit of the state book used currently in Greece.It is designed for fourth grade students (10 years old),and covers there is/there are,school subjects,numbers,days of the week and prepositions. The present printable, downloadable handout is intended for elementary school students at Pre-intermediate (A2) level. It is a valuable material for working on your students' Spelling, Reading and Writing skills.